STAINMASTER® Carpet has always been designed with stain free living in mind. 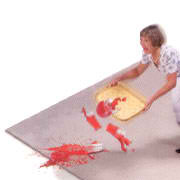 DuPont stain resistance technology repels liquids at the fiber surface, keeping spills from penetrating where they can leave stains. DuPont has advanced its Teflon® cookware technology and applied it to carpeting. This unique innovation actually keeps carpets cleaner, ensuring a beautiful, fresh look for years to come. EverTouch is a soft, beautiful yarn that creates carpets of unmatched comfort and luxury. The proof is in the feel: simply touch an EverTouch carpet and you'll discover the difference. It's what carpet was meant to be - it's carpet for living. EverTouch carpets feature performance ratings suggested for high-traffic areas. In other words, EverTouch is durable enough for any room in your home. 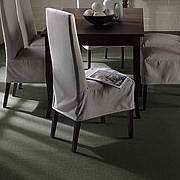 Exclusive to Shaw carpets, R2X application yields total fibre coverage. This technology is the first of its kind. The yarn is treated from top to bottom - instead of just the surface - so any absorption from the base is minimized. 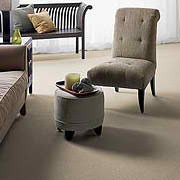 R2X carpets carry 7 and 10 year soil and stain resistance warranties. Polyester is noted for its luxurious soft "hand" when used in thick, cut pile textures. It has excellent colour clarity and retention. Polyester is easily cleaned and resistant to water soluble stains. 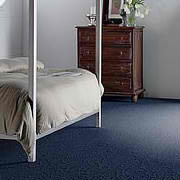 Generally, polyester does not hold its fibre height under traffic and shifting weight as well as other carpet fibres. This fibre is found in approximately 80% of commercial carpets. Polypropylene is strong, resists wear and permanent stains, and is easily cleaned. It is notably colorfast because colour is added in the fibre production. Resistant to Mold and Mildew, it is often used in both indoor and outdoor installations. Wool's naturally crimped shape is the formation of millions of air pockets that act as insulation to help regulate room temperature and reduce energy bills. Also, Berber carpet is easy to clean and purifies your indoor air for up to 30 years from common contaminants like formaldehyde by locking the contaminants deep in the core of the fibre. 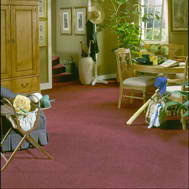 Soft, yet resilient, Wool Berber carpet can withstand the toughest treatment and still bounce back. A dense level-cut pile of about one-half inch or less. Yarn tufts are closely packed, presenting a smooth, luxurious surface. Generally for formal settings. Also a level-cut pile but with pile heights of more than one-half inch and not as dense as Saxony Plush. Appropriate for informal room schemes. Curled or twisted tufts make for a textured plush that masks foot-prints. Especially suitable for less formal decors. Yarn are tufted into islands of high cut tufts and lower loop tufts to form a sculptured pattern. Suits more informal settings. A simple loop pile with tufts of equal height. Durable construction makes it appropriate for high-traffic areas and informal rooms. A loop pile carpet with two or three levels of tufts forming a random sculptured surface. Broad application including semi-formal schemes. Features a mixture of cut and uncut loops, creating a highly textured surface appearance. Suitable for both formal and informal settings.